In a country where 68 per cent of the population is living in rural areas, India is continuously gearing up to make its cities smart. While 70 per cent population of the nation is engaged in agriculture, a Mumbai-based entrepreneur understood the need of the hour and has already taken steps to make Indian villages tech-savvy and self-sufficient. 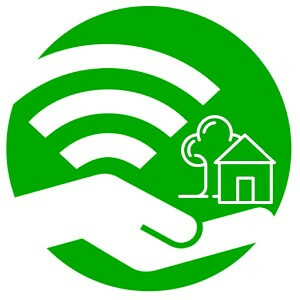 The visionary, Yogesh Sahu, is the CEO of M-Intellect Global Pvt Ltd and calls this project ‘Smart Gaon’. Already having carried out his first successful pilot project in a small village of Uttar Pradesh, the young techie developed an app, both in Hindi and English, for the purpose of empowering villagers in terms of their business, supply, and knowledge. When Yogesh found out about the massive amount of foodgrain that is wasted every year which later leads to inflation of the supplies, he decided to extend his caliber - technology, for the same cause and developed an innovative software which not only addresses this supply-demand gap but also brings training, Government support, as well as knowledge education, e-marketplace to the villagers to not only fetch them better prices for their produce but also educate them and sell their handicrafts on and as well as bind them in a e-group to share knowledge and concerns or problems in a secure environment. 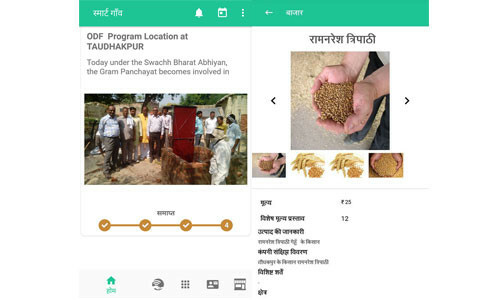 As soon as he identified the problem of foodgrains going to waste in his village, he spoke to another friend who shared a similar passion and both started working towards building an app called Smart Gaon. Together, they connected with the authorities and gram panchayat of their native village Taudhakpur, and proposed the idea of developing their village. 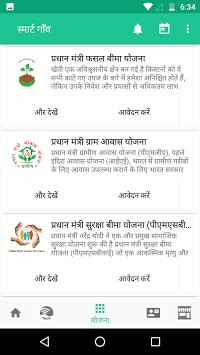 Smart Gaon app went through several modification during the course of its time and is now available to download for villagers. He is now in communication with the government to make his dream of bringing villages closer to each other, into a reality. With the help of the app which is available both in Hindi and English, the locals from the village can now directly sell their produce in cities, completely eliminating the middle-chain in the process. They can also now list their business and also file complains, create events and get to know about all the schemes Government provides them with. Mr. Sahu, an engineering graduate with an experience of over 13 years, is already working with some of the biggest brands in India and internationally. With a strong team of tech professional and years of experience, he consults SME’s and bigger companies in identifying a particular problem and gives an appropriate solution by developing customised apps and other tech-based solutions to maximise revenues. He started M-Intellect a year back with which he has also successfully completed various projects and helped brands to build customised apps at a very efficient cost. Yogesh comes from a humble background and was brought up in a simple but forward-thinking family. Even today, he enjoys visiting his village and believes that if the proper technological infrastructure is provided, the rural areas of India can really become smart and efficient. With a vision to get entire rural India under his 'Smart Goan project', Yogesh is a true Indian at heart and dedicated the service solely to the country and not for any profit-business venture. Such is the story of a young technocrat who left no stones unturned to make the villages an active part of Digital India.